The postcards show the castle before it was sold in 1929 by the 11th Duke of Leeds. The Castle and the 5854 acre estate were auctioned and many architectural features were sold. The main doorway to the courtyard and the arms-bearing stone portal above the north wing entrance are in the Burrell collection in Glasgow. Only the South wing remains, the interior of which is 1930s. The present vegetable garden was the site of the kitchen. 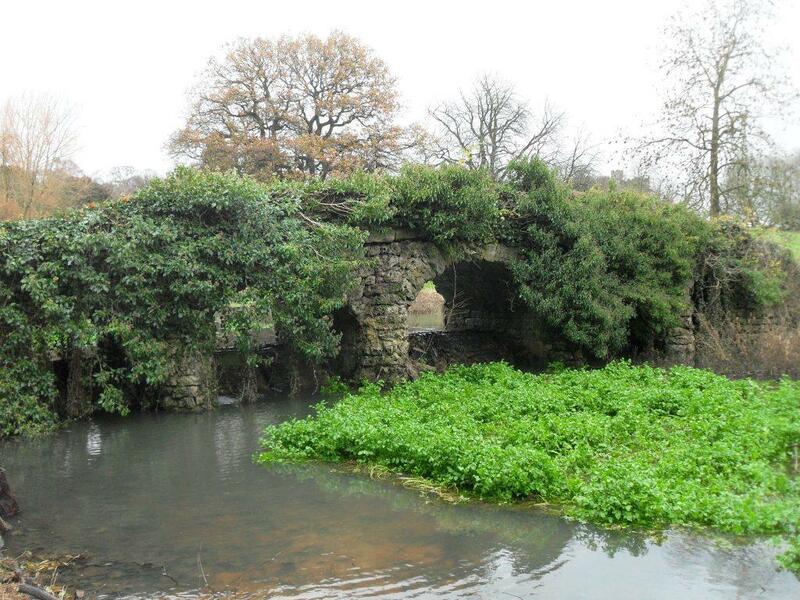 The rustic bridge is mainly constructed of 'tufa' and is thought to have been designed by Lancelot Brown who was commissioned around 1770 to make a series of lakes to form a serpentine river. The Banqueting House, known as Bowling Green House, was designed in 1760 by William Mason with additions by Horace Walpole and Richard Bentley in the style of Strawberry Hill. It was completed in 1762. In the 19th century it became known as a museum with stuffed local animals and birds. A night watchman and his family are said to have lived in the basement. 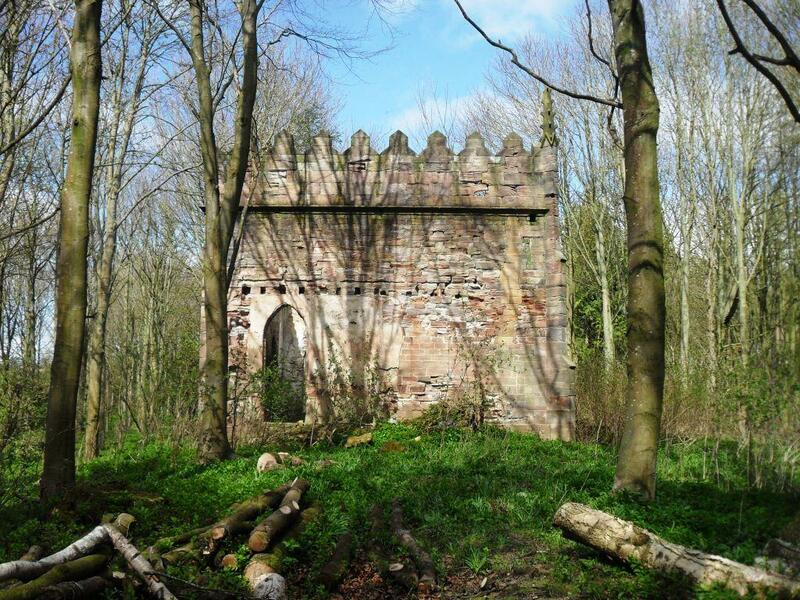 Hornby Lodge was built late 18th to early 19th century for the Duke of Leeds at Hornby Castle. The early 19th century wellhead at Hornby has four fluted columns that support three circular stone slabs.